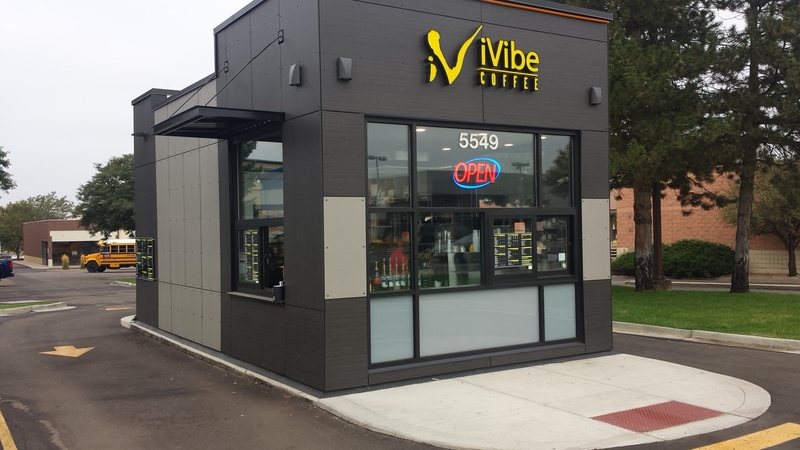 Over 40 Asian Night and Pewter Mesh exterior Stonewood Panels were installed on the iVibe Coffee shop in Littleton, CO. This location is the first for the coffee franchise with two others currently under construction. Stonewood Panels are made in the USA and easily fit with tight installation schedules, making them ideal for meeting franchise specifications. 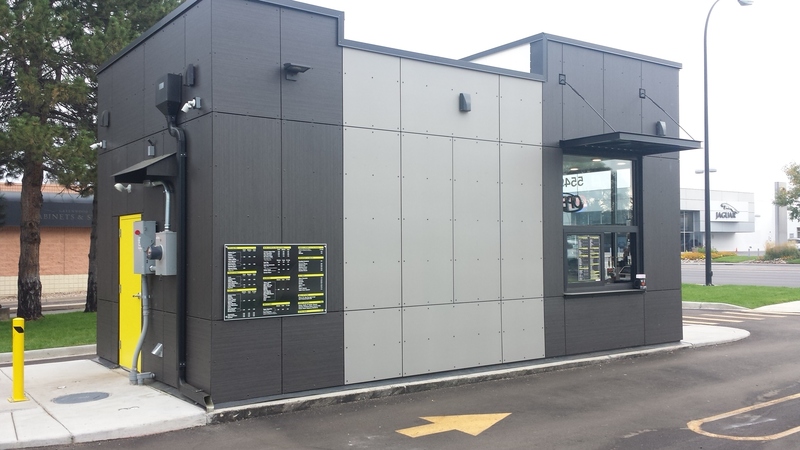 Asian Night and Pewter Mesh exterior Stonewood Panels were installed on the iVibe Coffee shop. Panels are made in the USA and easily fit with tight installation schedules, making them ideal for meeting franchise specifications.